Elliot, A Soldier’s Fugue, now playing at Park Square Theatre, is the sort of stage work where knowing too much in advance is against the audience interest. This staging of an intergenerational tale of experiences in and around the U.S. military is moving and gripping. Some preliminary notes: It’s best to eat before attending this production, and to plan on staying afterwards to unwind in a nearby jazz club (Elliot tickets yield free admission). It’s also better to read the program notes after the show, rather than during it, and to go to the bathroom beforehand (there’s no intermission). 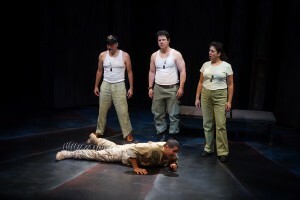 Pedro Bayón (Grandpop), Rich Remedios (Pop), Adlyn Carreras (Ginny), and Ricardo Vázquez (Elliot) in Park Square Theatre’s Elliot, A Soldier’s Fugue. 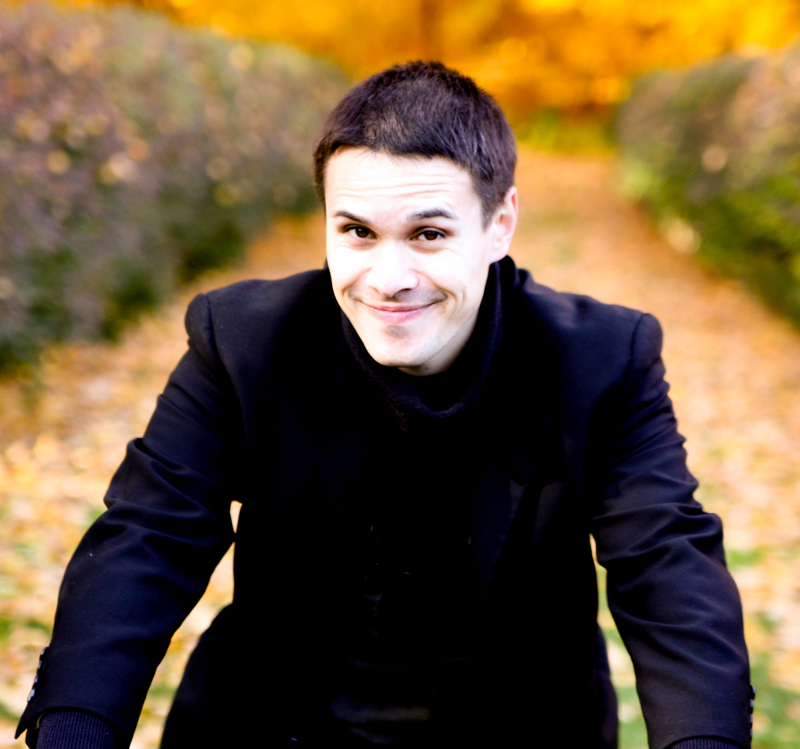 Photo by Petronella J. Ytsma. Elliot was written by Quiara Alegría Hudes, a Pulitzer Prize-winning playwright known for writing the book for the musical In the Heights. The script for Elliot is quite sharp, with numerous monologues that have a compelling immediacy and veracity; it is little surprise to learn that this play was a finalist for the Pulitzer Prize for Drama in 2008. The intimacy of these moments is brought out by the beautiful but minimalist set and lights by Kit Mayer and Michael P. Kittel. The ensemble cast of Ricardo Vázquez, Pedro R. Bayón, Rich Remedios, and Adlyn Carreras is quite strong under Robert Rosen’s direction, but Vázquez is the standout with his physically taxing and gripping performance in several scenes. The music and sound design (the latter by Evan Middlesworth) deserve special mention: music and atmospheric sounds play key parts in the construction and appearance of this moving play.